Set your classroom or boardroom up for success. 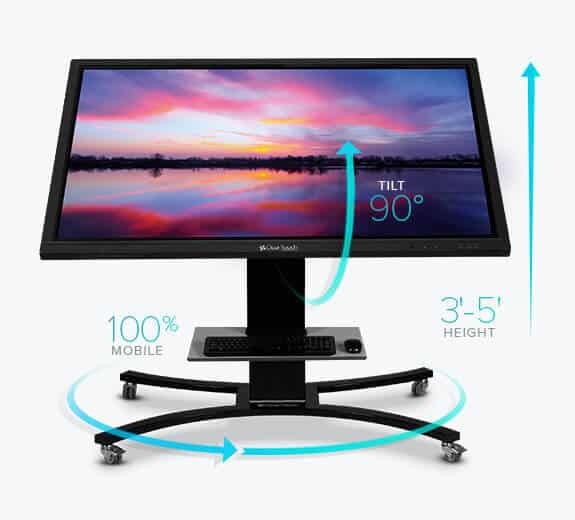 Choose from Clear Touch Interactive® steel-constructed adjustable mobile stand to increase your interactive panel’s mobility & accessibility. Clear Touch Interactive panels give everyone the opportunity to participate. 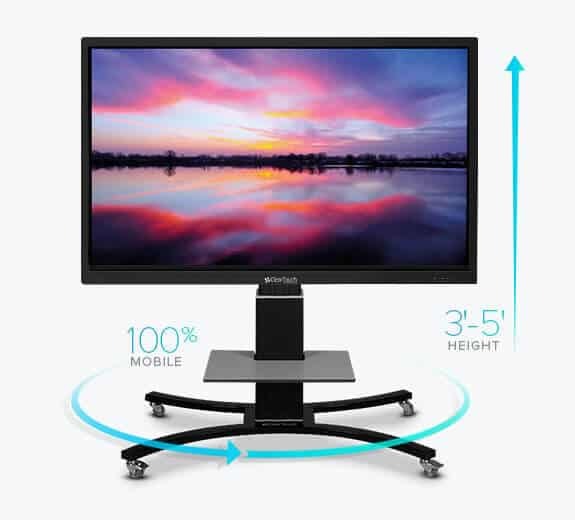 With our mobile stand, you can easily tilt the panel 90 degrees, and lower it to give access to shorter students or participants in wheelchairs. 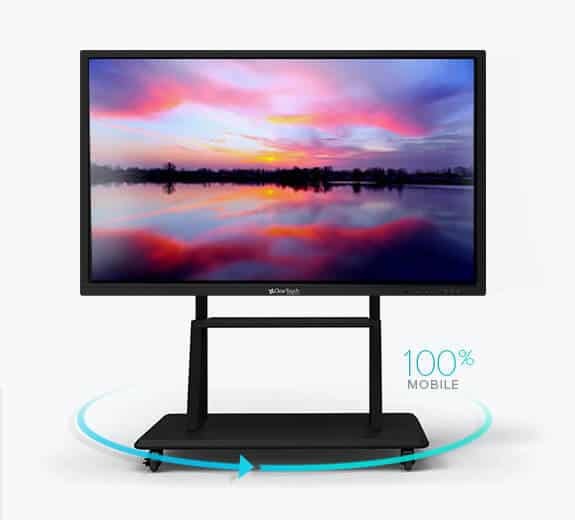 Easily reconfigure your classroom or boardroom. Sometimes the most effective thing for your students’ learning or board member participation is to reconfigure your room. A new setup often increases curiosity and willingness to interact together. In the past, reconfiguring your rooms could be a nightmare. 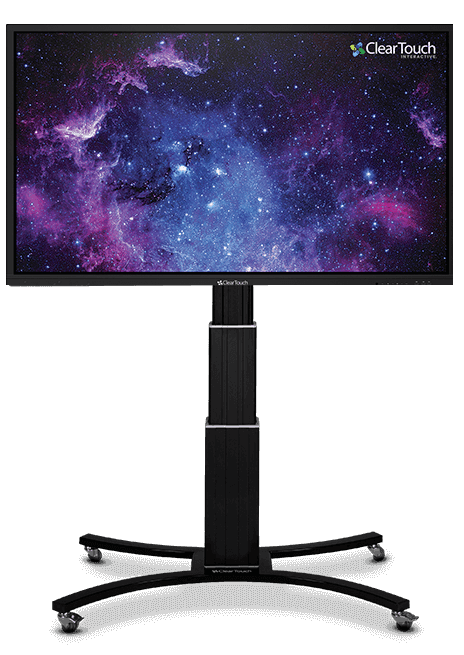 But with Clear Touch Interactive panels on mobile stands, you can easily reconfigure your room layout on the fly. Take classroom learning on the go. Sometimes special circumstances or unique learning opportunities require that your classroom technology be portable. This would be nearly impossible with traditional classroom technology, such as projectors and many interactive whiteboards. Our mobile stands allow you to easily wheel panels to wherever you need them, whether outside for a graduation ceremony or down the hall.